Two Guys is a family owned and operated hunting ranch for over 10 years. 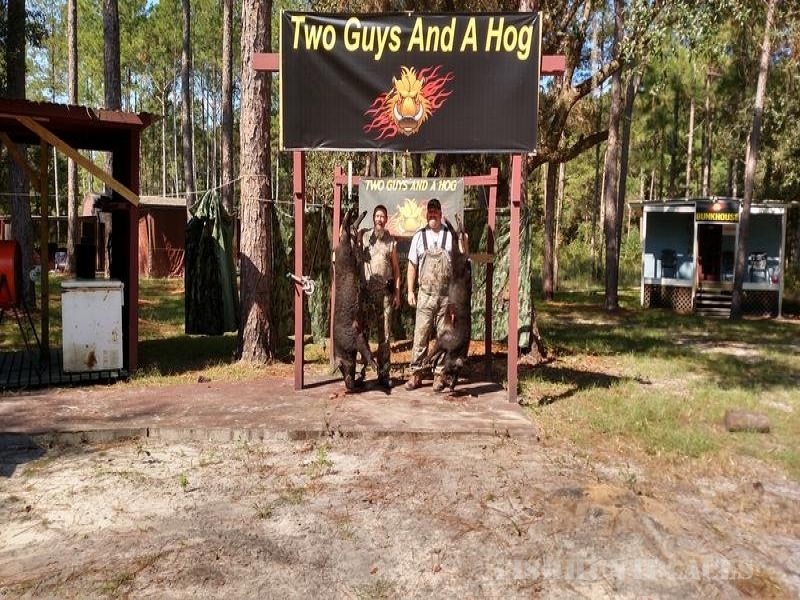 Ralph and Louie have worked meticulously to create a hunting ranch where from the greenhorn to the skilled hunter can experience the thrill of hunting wild Florida hogs. Two Guys are fathers and also seasoned hunters themselves. They worked on their dream picturing a ranch where their father would have taken them to share a day together of good clean fun. The brothers are advocates of ethical hunting and are steadfast in their beliefs that the animals they hunt are respected and harvested properly. We cater to father, son/daughter teams, large groups, families, and the "lone wolf" hunter. At “Two Guys And A Hog” all of our customers will be hunting on privately owned land. 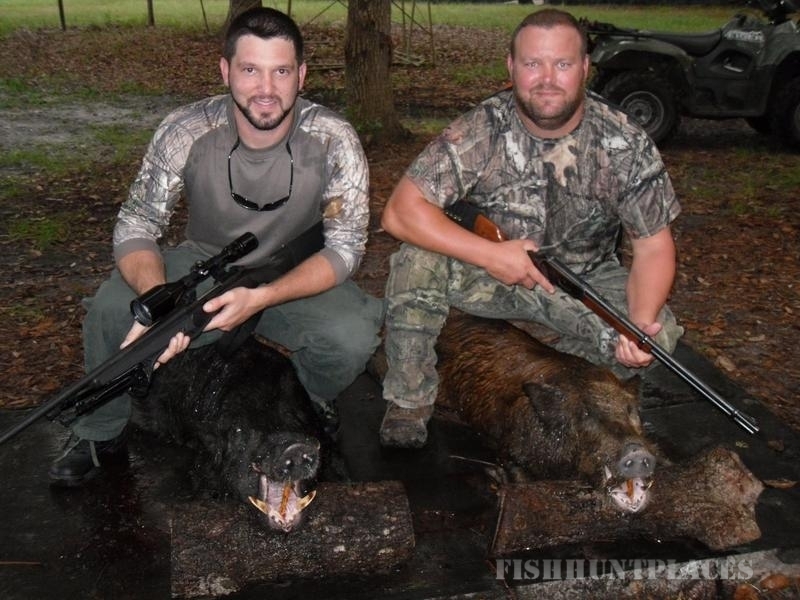 Because it is privately owned, a Florida hunting license is not required for the harvesting of feral hogs. 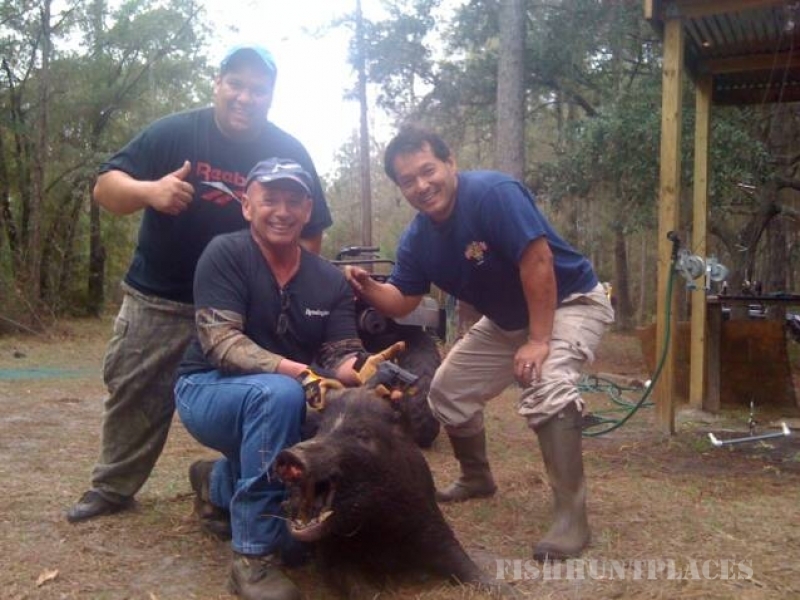 At “Two Guys And A Hog” we offer three types of hunts. Our hunters can choose to use rifles, pistols, bow, knife, and spear. Our hunters can provide their own weapons or they can rent them from Two Guys. 1) Our guaranteed high fence hunts are all stand/still hunts off of corn feeders done on our 40 acre ranch. 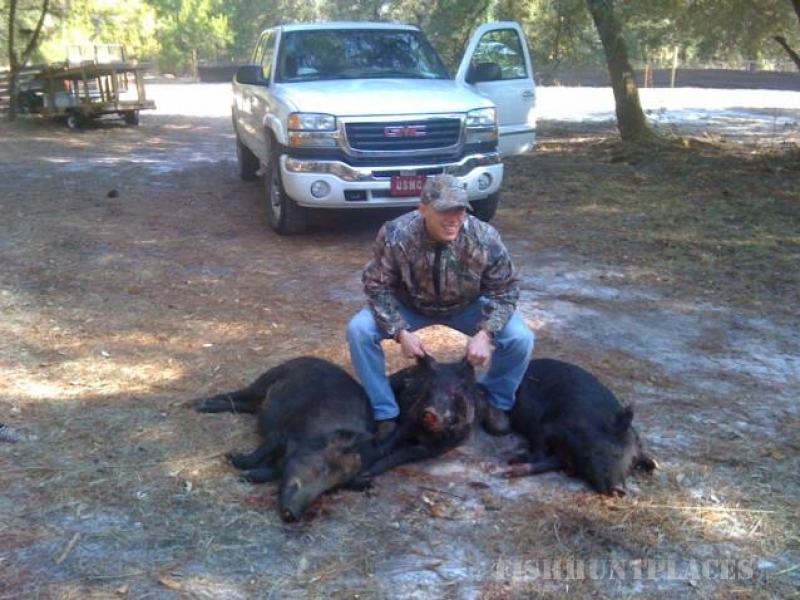 With our guarantee you will have the opportunity to pull a trigger on a Florida feral hog. We do not guarantee the size or the harvesting of a feral hog. It is solely up to your skill level! 2) Our fair chase (free range) hog, deer and turkey, no guarantee hunts are all stand/still hunts. These hunts are done either on our ranch or on acrage surrounding our ranch. All deer and turkey hunts are seasonal and all FWC rules and regulations will be adhered to. Hunting licenses for deer and turkey hunts are required. 3) Our fair chase free range no guarantee dog hunts are done on our 1000 acre lease from 7am to 3:00pm. Our dogs are bay dogs. We do not use catch dogs. Our dogs will bay the hog(s) and it is the responsibility of the guide and hunter to harvest the hog. Stands provided to our hunters are shooting houses, ground blinds, ladder stands and tri-pod stands. Most of our stands can accommodate (2) adult hunters. Two Guys also rents rifles and night hunting equipment. Come on in, get your "huntin' on". Enjoy a day at Two Guys and a Hog.